The credibility of dropshipping has been questioned for a very long time now. People consistently come up with the doubts that if dropshipping is dead. Or if it’s worth their money and time. These kinds of questions arise because people are not well aware of the quirks and the perks of the dropshipping method. Having a little knowledge about dropshipping leads to the lack of its use by the consumers. People often Google things like “Dropshipping for beginners,” “All you need to know about dropshipping” etc. to get a better understanding of the dropshipping business growth and the opportunities in this field. But they often come across some poor search results about dropshipping being dead. In spite of having so many companies working on this business, questioning if dropshipping is dead is somewhat not digestible. There are companies who have hired a team of experts to solve dropshipping related problems. 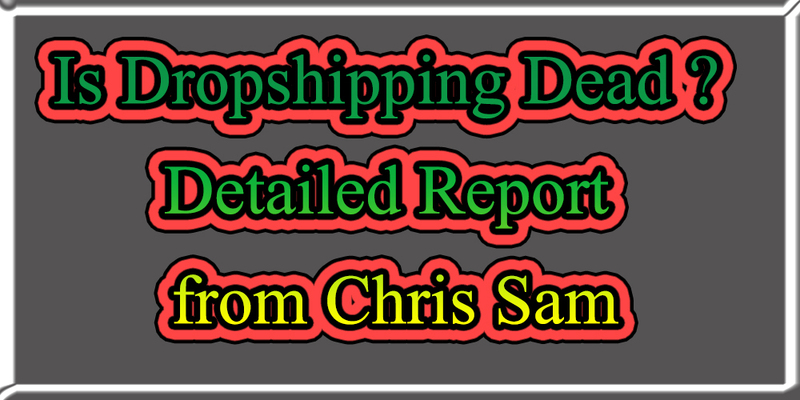 What we suggest to all the people out there is not to consider statements like dropshipping being dead. The time is near when dropshipping will outlast us all and for the undeniable reasons. Why dropshipping is not dead yet? In contrast to the popular notion that dropshipping is dead, we will tell you so many reasons to support the fact that it is not. In fact, it is gaining popularity day by day. In the scenario of social networking, people leave no stone unturned to do the best research about all the aspects before starting any business. On the websites such as Quora, Yahoo, and Reddit, one can find so many entrepreneurs to answer all the business-related queries, that too free of cost. 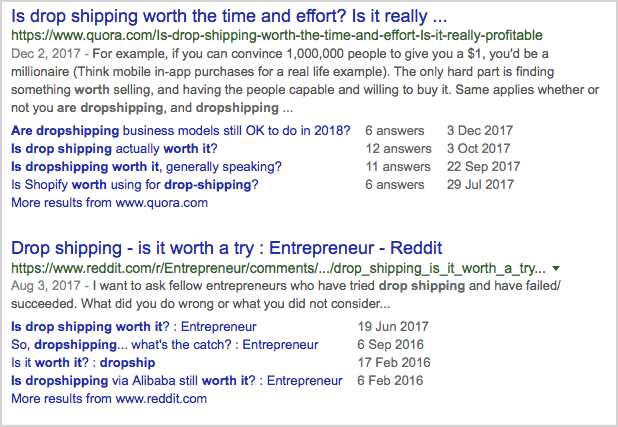 Is dropshipping worth the time and effort? Is dropshipping worth a try? The list goes on. These questions are just a product of the curiosity of the to- be-dropshippers about profit and loss in this business. These doubts occur because of their lack of knowledge on this subject. These catchy headlines are misused by the Yellow Journalism for gaining petty traffic on their blogs and websites. Let’s bust all the arguments that are made by so-called experts about the fragile future in the dropshipping business. “Extreme competition weakened the field of Dropshipping.” ? The answer is ‘NO’. 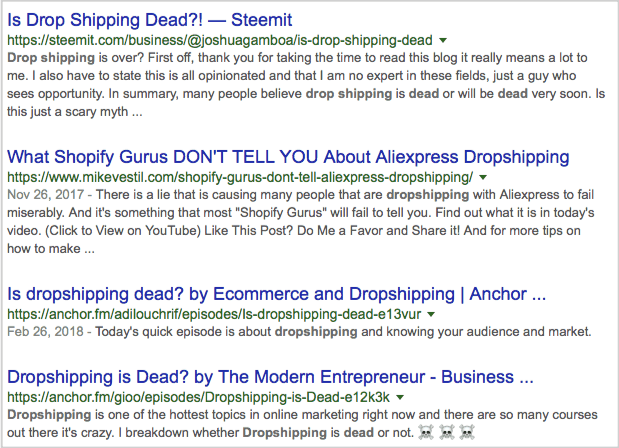 It has been claimed by these ‘experts’ that dropshipping is dead due to extreme competition. There is a pre-conceived business fear that if there is an intense demand for something in the market, it will saturate all the sources of profit-making out of that business. You won’t have many chances to succeed if there is already too much competition in that sphere. 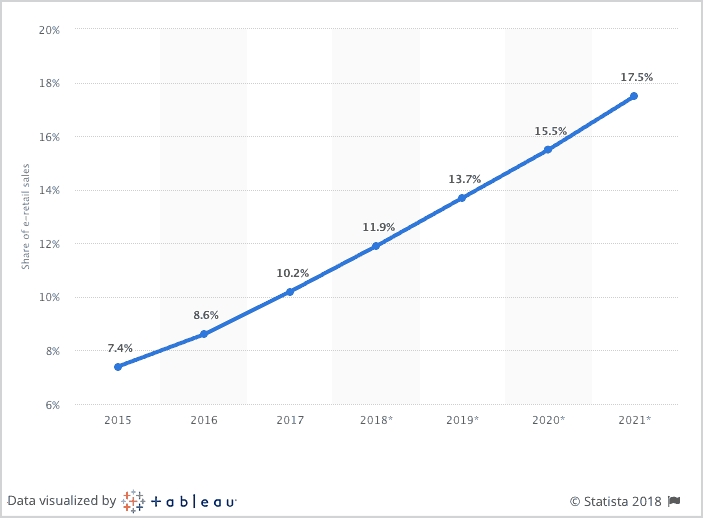 But this business fear is an exception to the dropshipping, as according to the report by Statista researchers, the number of digital shoppers is going to be 230.5 million by 2021 in the United States. There is a necessity of a massive amount of enterprises to fulfil the requirements of such a large number of digital shopping customers. Dropshipping businesses have their possibilities in other parts of the world as well. According to few predictions, internet market of Southeast Asia will mark $50 billion in 2018; which is indeed an excellent opportunity for dropshipping business owners to target market in any geographic area and gain profits. The inclusivity of dropshipping business helps in doing business while sitting in any country across the world. The myth that the cutthroat competition in the market deteriorate the dropshipping business is indeed a myth and caused by the lack of knowledge among soon-to-be-dropshippers. Business persons can reap profits through dropshipping even if the competition is high. All they need is the better understanding of all the aspects of this business. This can be the stupidest claim of all time. People who claim that dropshipping is outdated need to check the facts correctly. We will tell you why. 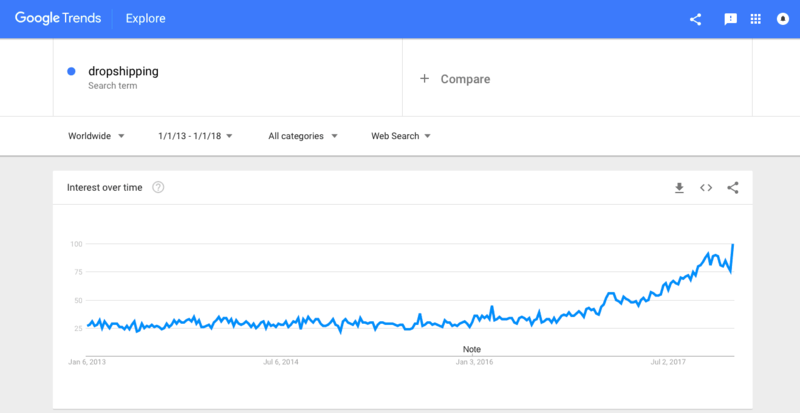 The Google Trends Graph shows a continuous growth in the dropshipping business in the past five years. This graph shows how baseless the above claims are. Several websites claim that dropshipping was a thing of the 2010s, but its time is gone now. Well, the Google Trends Graph proves the otherwise. This clearly presents the data that the dropshipping business is overgrowing, more and more business persons are getting into this business and it been on the rise no matter what the political, social and economic conditions are. We can also say that the ‘golden age’ of dropshipping is yet to come as this business venture is currently in its growing phase. People have started taking interest in the dropshipping business from less than a decade. The online businesses are growing all over the world and so is dropshipping. According to a graph by Statista 2018, the e-commerce industry contributes only 10.1 percent of all the sales in retail all over the world. The percentage is even lower for dropshipping venture because not every transaction in the field of e-commerce can be classified as actions related to dropshipping. There is no doubt that dropshipping business is growing globally in the current scenario. Even if this business is done at a small rate, the reliability of dropshipping cannot be questioned. It is one of the promising acts of sale and purchase. People who plan to get into this venture need to have a proper homework about dropshipping to reap long-term profits through it. “You can’t make money out of Dropshipping.” ? People who are against the dropshipping claim that no business can reap money out of this business venture as any business which is easy to start and efficient to run can’t give profits to the owner. We will bust these doubts and put a picture of e-commerce trend in the global terms. 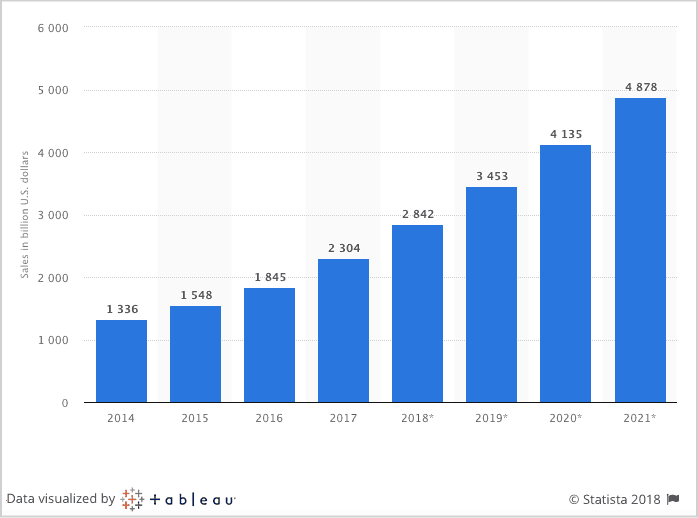 If we carefully observe the data by Satistia, there are huge chances that retail e-commerce sales will reach approximately $2,774 billion in 2018. Moreover, as per the reports by Lehigh, a leading research university in the United States, dropshipping purchases and sales contribute 25-30 percent of all the transactions in the field of e-commerce. We can say without a single shadow of doubt that dropshipping business is a good option in 2018. But everyone needs to work hard to get their business paying off huge profits. You can’t just list your products on Magento store and wait for a miracle to happen without any efforts. E-commerce requires a lot of hard work as the internet is a crowded platform. Not every person in this world can have access to platforms like Amazon Prime, so they will definitely turn to dropshipping and order items from your store. All you need to have is the proper understanding of this business to be noticed by the consumer. The coming years hold great opportunities for the e-commerce businesses, particularly dropshipping. Business persons can make huge bucks out of this venture. We can estimate that the sale and purchase in dropshipping business will reach around $4000 billion by 2021. Isn’t it an impressive amount to grab every last opportunity to reap profits through this amount? Some people might feel that they can never get success in such large-scale businesses, but every large-scale businessman has started from a small-scale industry to build multibillion-dollar empires. Dropshipping business is not just about the funds that one spends in it, but it is more about the tricks and skills. It is more about how you grow your business after it’s started. One of the great examples in this regard is of Zappos. This business has started from a peck and is one of the most established dropshipping business of the present time. Amazon also launched its venture with a low-key beginning and has turned into the greatest e-commerce business. 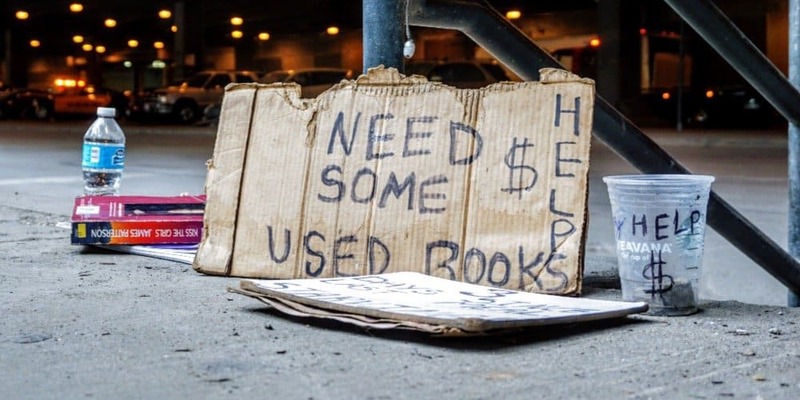 Stories like that Zappos and Amazon are enough to inspire you to get into this business. Things to keep in mind while starting a dropshipping business ? One can easily prove the claims that dropshipping is dead by successfully stepping into this business. There is an enormous money making in the dropshipping method. All you need to do is to find your niche. You need to study the nature of the audience that you are going to target. You must choose your product according to their needs and demands. There is no use of dropshipping an item if it is less consumable. Dropshipping mainly masters in wonderful products such as made to order products and not something which is needed urgently. Dropshipping business gains much success with the products that don’t need a manufacturer-distributor model. After having so many opportunities for profits in the venture of dropshipping, one can hardly say that dropshipping is dead. How can something be dead if that thing is supposed to make more than $2000 billion in the coming years? Any kinds of assumptions about the death of dropshipping should not stop you from spending your money and time on this business. Who knows if your company could become next Zappos?